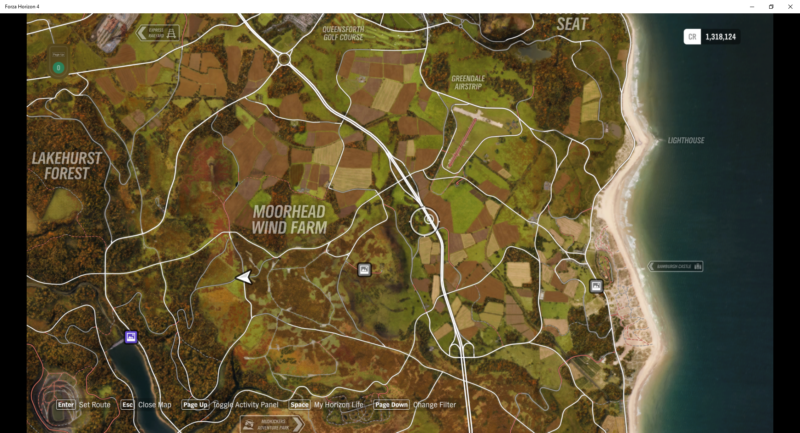 Forza Horizon 4 not only features influence and fast travel boards, but also beauty spots throughout the map. 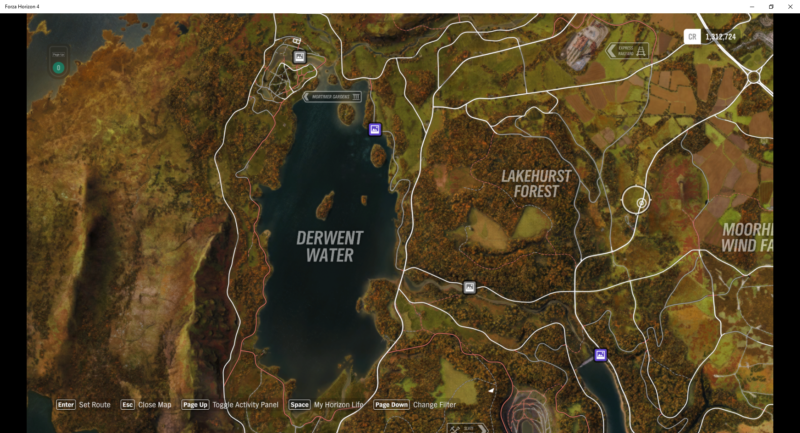 There should be 12 beauty spots to be exact, and these locations can be unlocked instantly if you buy the treasure map add-on. 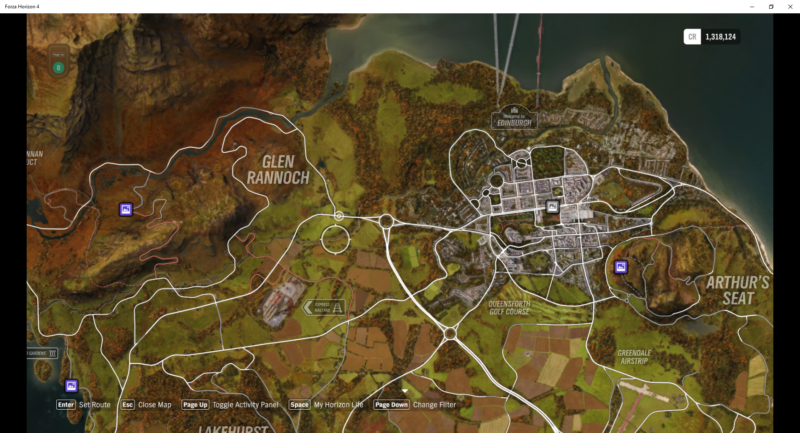 Otherwise, you can just refer to this guide on all the beauty spot locations in Forza Horizon 4. These beauty spots refer to places with great scenery or landmarks that are worth taking a photo at. 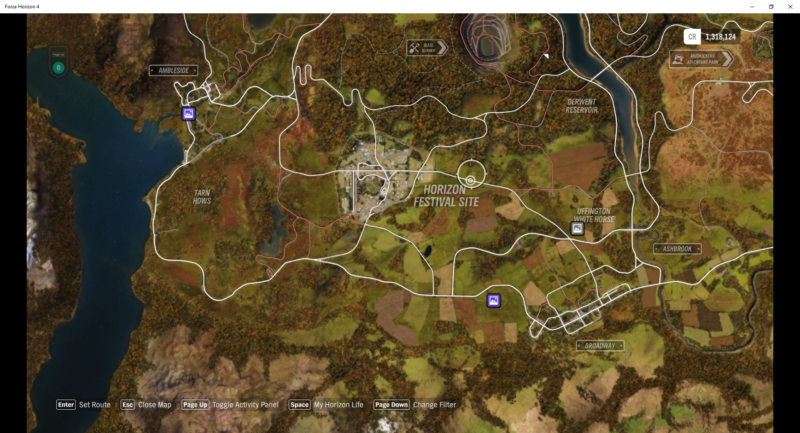 As I couldn’t get the full map after zooming out, it’s divided into four screenshots of the map. They are the icons in purple or in grey, as I have not checked out every beauty spot location yet. Hopefully these screenshots will help you find all of the beauty spots in Horizon 4, just for completion purposes.